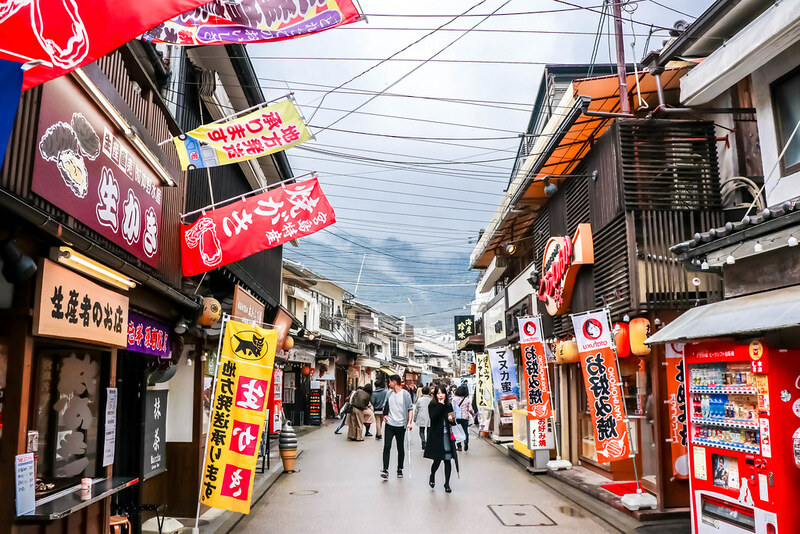 I’ve previously shared about the things you can do on Miyajima Island, and I’ll be talking about the tasty food you can find on the island in this article. Due to the thunderstorm, I decided to cover the attractions as quickly as possible before hanging around Omotesando Shopping Arcade. 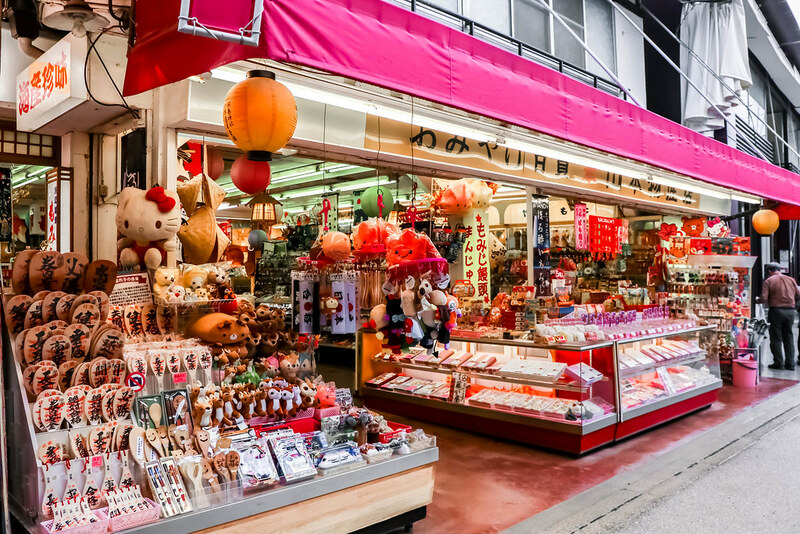 Both sides of this shopping arcade are packed with souvenir shops and restaurants. 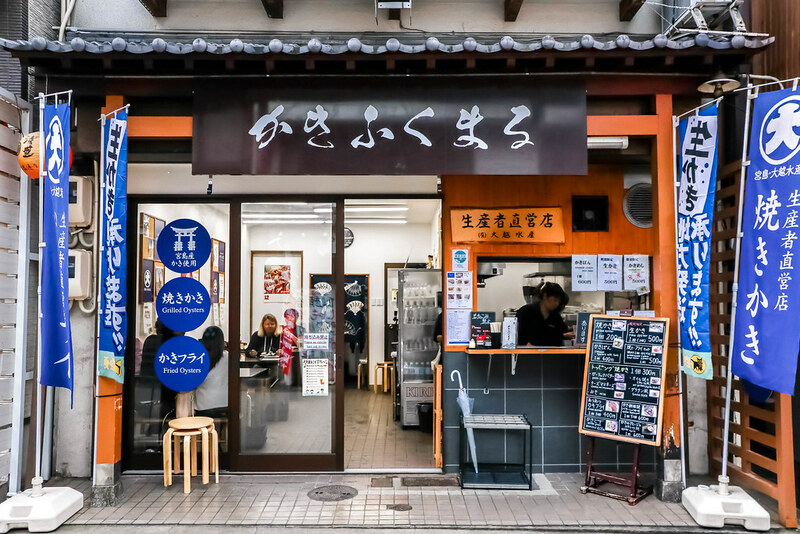 So, I spent the rest of my afternoon seeking shelter from one restaurant to another, and managed to try 5 foods that are highly recommended on Miyajima. Oyster is the most famous seafood dish in Hiroshima, and the waters around Miyajima have many flourishing oyster farms. The oysters produced on the island are renowned for their huge size, juiciness and freshness. 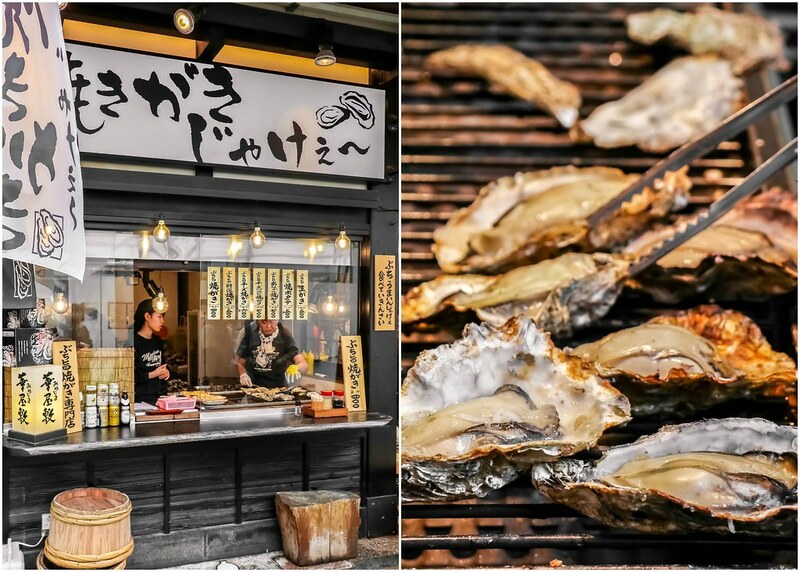 Grilled and fried oysters are commonly found at Omotesando Shopping Arcade. 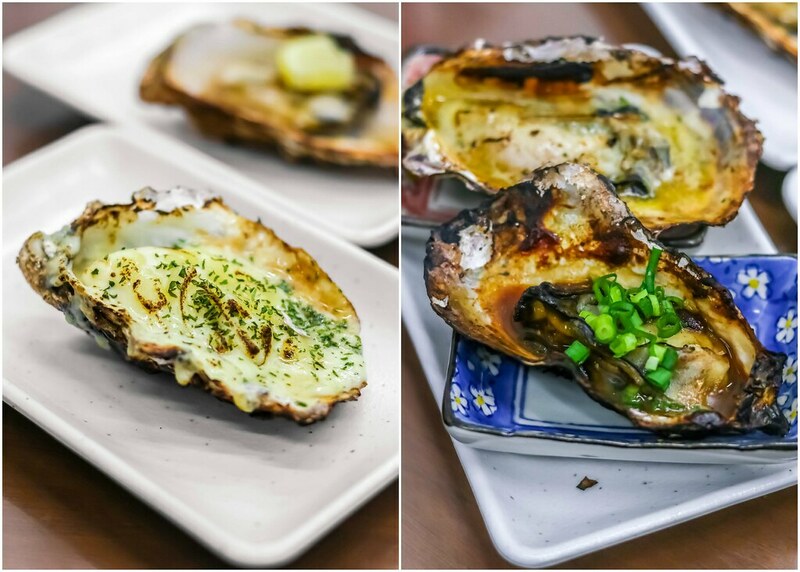 I tried grilled oysters which came with different toppings ranging from cheese and mayonnaise to garlic butter to miso. 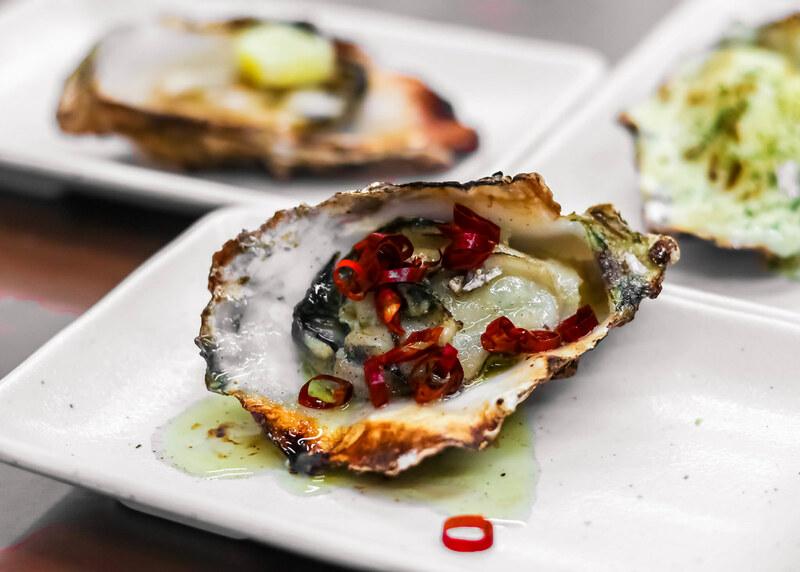 The chef also prepared Ajillo-style and gratin-style grilled oysters. It’s not surprising that I enjoyed all the flavours. There are oyster teppanyaki, oyster pizza, and oyster hotpot available too. 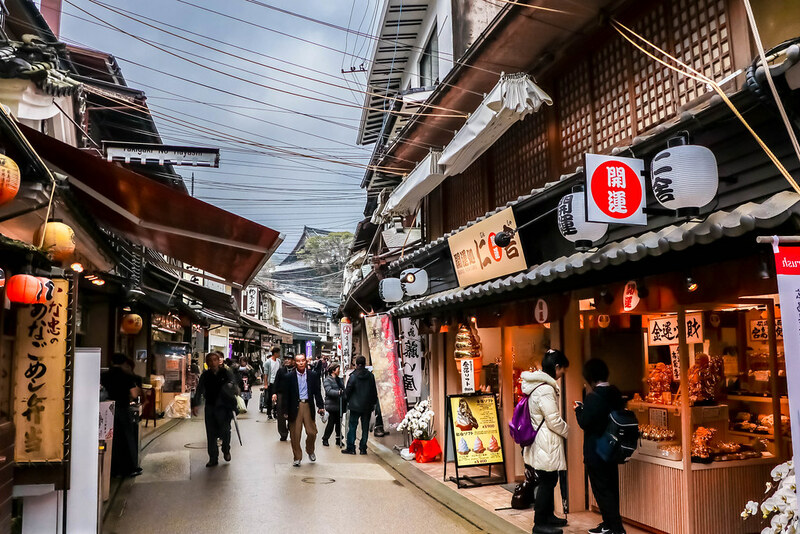 If you happen to visit Miyajima in early February, be sure to check out the Miyajima Oyster Festival. Miyajima De Gansu, a specialty of Hiroshima, is a street food consisting deep-fried minced fish and onion. 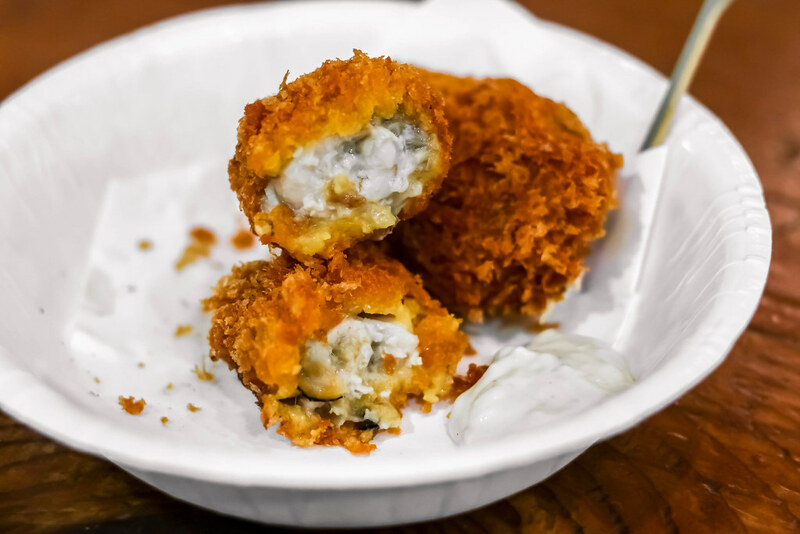 It has a super crispy exterior with insides so mashed, flavourful and creamy. I had a tough time resisting getting a second piece. 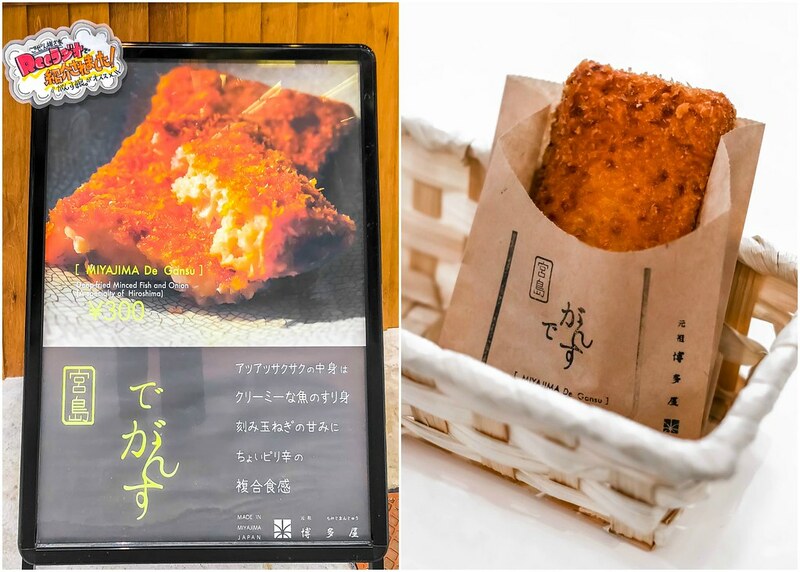 The same cafe also offers Miyajima Jake where sponge cake is deep-fried, so you get a sweet and savoury snack. Aside from oysters, conger eel is another popular seafood dish on Miyajima. 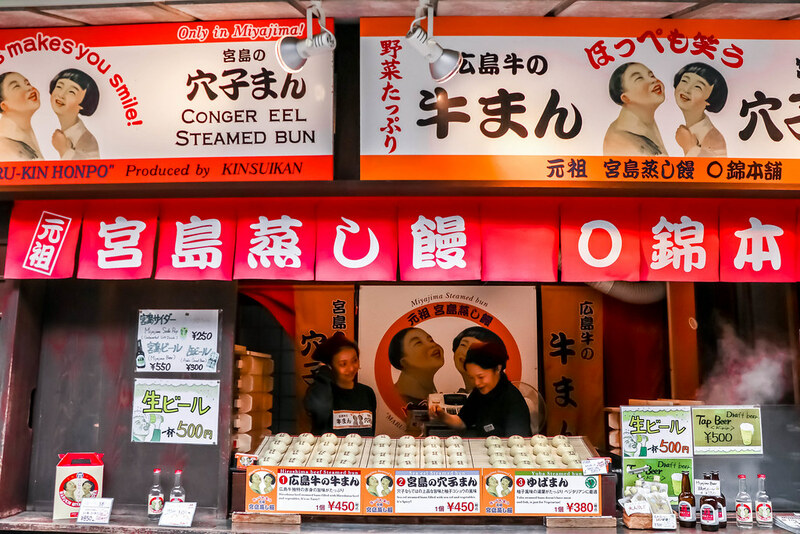 There are many restaurants serving conger eel on rice, but I only came across one stall serving steamed buns filled with conger eel. This steamed bun is called, “Anagoman”. Although I was already quite full from feasting on oysters, I couldn’t resist having another bun, the “Gyuman”, which boasts a luxurious filling containing the highest grade of Hiroshima beef. 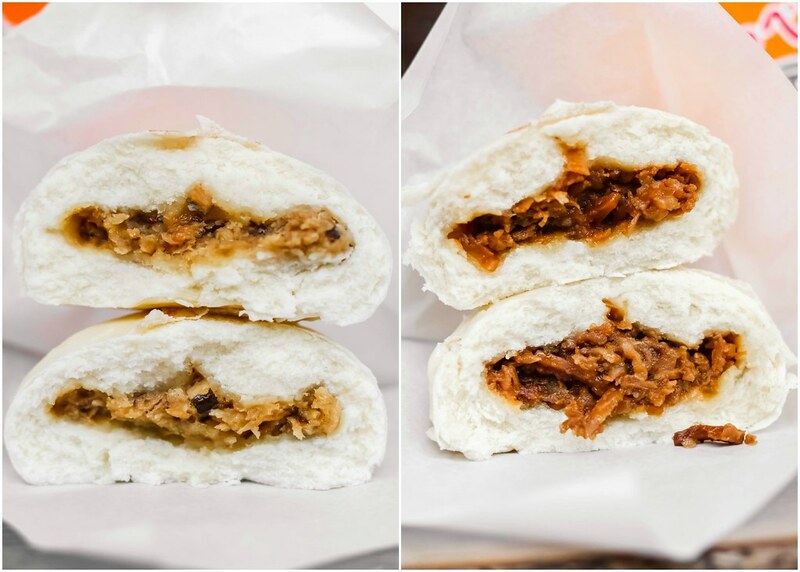 They also serve a vegetarian steamed bun with tofu skin filling called, “Yubaman”. Forget about pictures and enjoy the buns while they’re hot! Sounds like a cute word when you pronounce, “momiji”, doesn’t it? Well, these small sweet treats, shaped like maple leaves, are indeed very cute desserts. The maple leaf shaped dough is pretty much made up of the same ingredients as the commonly found Japanese-style cakes. 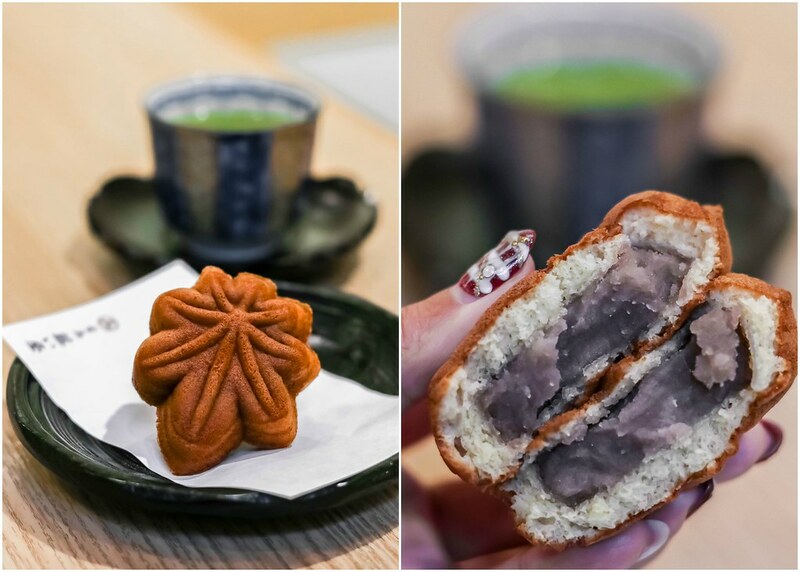 The special part of the momiji is the fillings such as red bean jam, salt bean jam, red sweet potato jam, chestnut jam, chocolate cream, custard cream, green tea, and many other flavours. The dough is light and fluffy and the filling has a smooth texture that melts in the mouth – no wonder I ended up buying so many boxes home for my family and friends. Last but not least, Coconca Anco Café is the place for those of you with a sweet tooth. 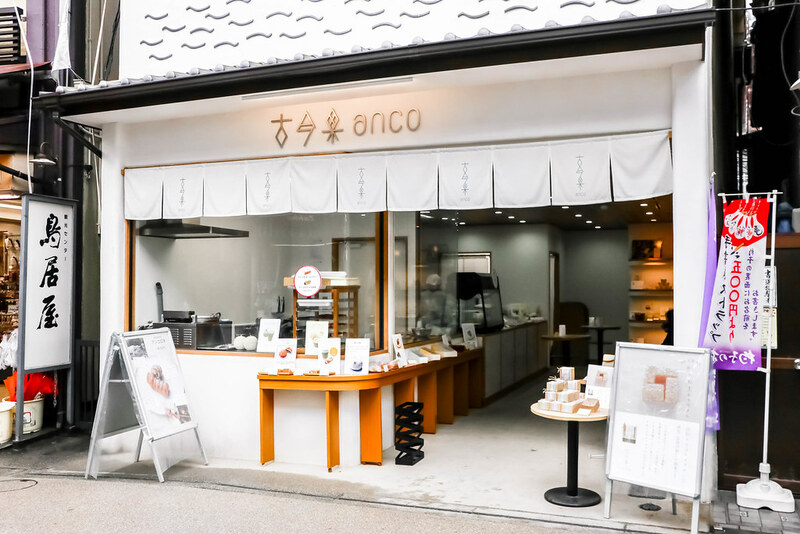 The pastries are handmade using local Japanese ingredients from the Setouchi area. 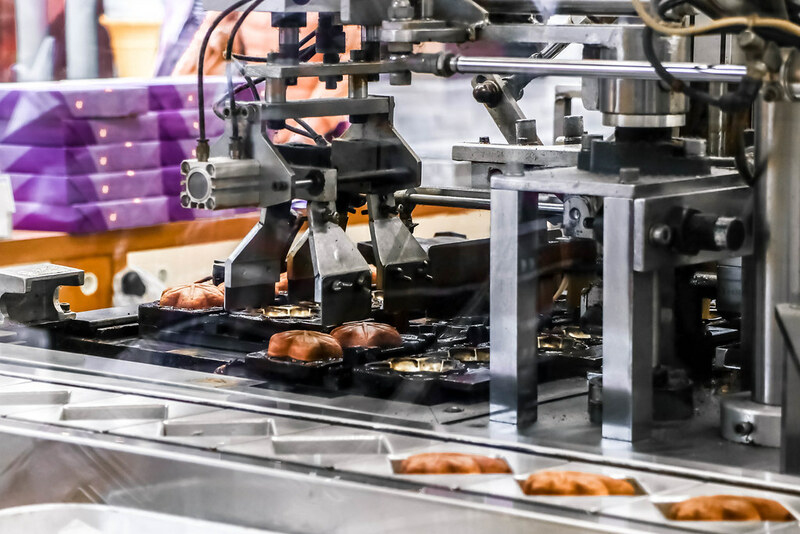 The café features an open-kitchen concept where you can observe the pastry chefs in action through the glass window. 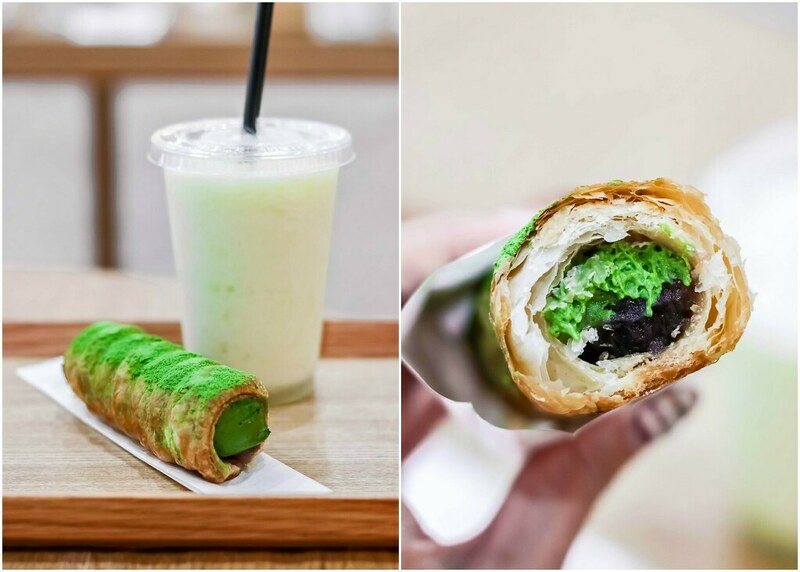 You can either try the custard-filled pastry or the matcha-filled pastry. 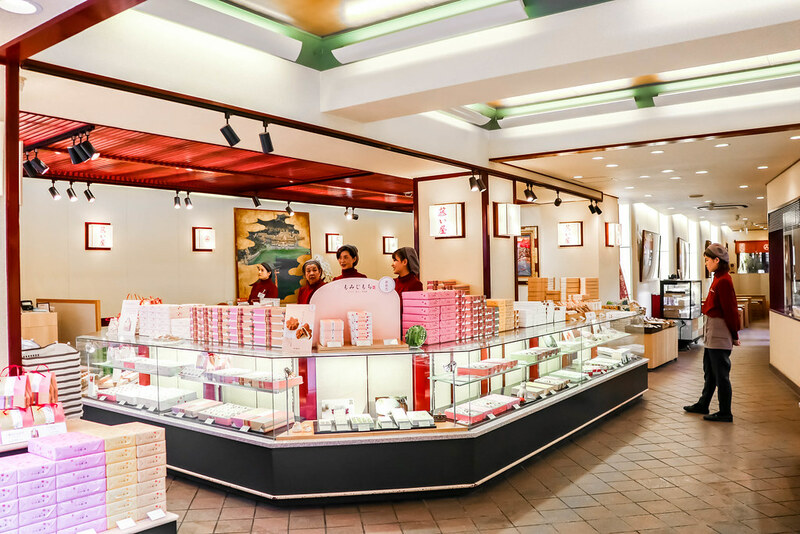 Their beautiful packaging makes the pastries a great gift for your loved ones. Moreover, I recommend quenching your thirst with the fresh melon smoothie. Even though Miyajima isn’t a big island, it still offers visitors plenty of food options. You should visit the island on an empty stomach.